I have a few packages lying around the house since I came back from campus. I just opened the YesAsia one, which I was most excited about and decided to share my experience with them. This package was ordered on Nov 20th. Both items indicated that it would usually ship within 7 days. Order was shipped Nov 25th. I don’t really know when it got to my house, since I shipped it home while I was on campus. I got free shipping since both of these combined cost (well) more than $39 (their criteria for free shipping). I’m quite satisfied with the package, though it wouldn’t have hurt for them to put more bubble wrap or stuffing to secure it more tightly. It was sent in a cardboard box, wrapped with a single bubble wrap by Air Mail. Both magazine/book are still in their plastic wrap. Condition seems to be new, so I can’t really complain. For customs, they seem to have lied. They put Commercial Gift; $18. I don’t think it matters for most packages sent to the US, but I guess this is their way to make sure that the package doesn’t get stopped by customs. Now the reason I ordered from here — out of all the options I could use, was because bk1 ran out of stock for the Newtype Magazine before I could order it. If I remembered correctly, it ran out of stock in about 3 days(?) after it was officially released. I checked Kinokuniya shortly after and it didn’t seem like they had it. I could not check again. Hobby Search and Hobby Link Japan ran out of stock shortly afterward… Running out of options, I went to YesAsia and found it. I quickly looked for something else that I wanted and just placed my order before my luck ran out on there too. I knew YesAsia would overprice their goods (especially with books), but in this kind of situation, I had no choice :/. If it’s for Madoka, I’d pay any price! (><) So this leads to me close to building a shrine for Madoka lol. This is not the first time I ordered from them. Most of the times I ordered from them, my experience had been positive. The only one time I had a bit of a mishap with them was when I ordered a Kalafina CD and it came cracked. I contacted their customer service immediately, which granted me a RMA# to send it back. They credited me the shipping fee as YesAsia credit. The exchange was quick though. Pretty sure I received a new replacement CD in better packaging within 2 weeks (of mailing back the cracked CD). 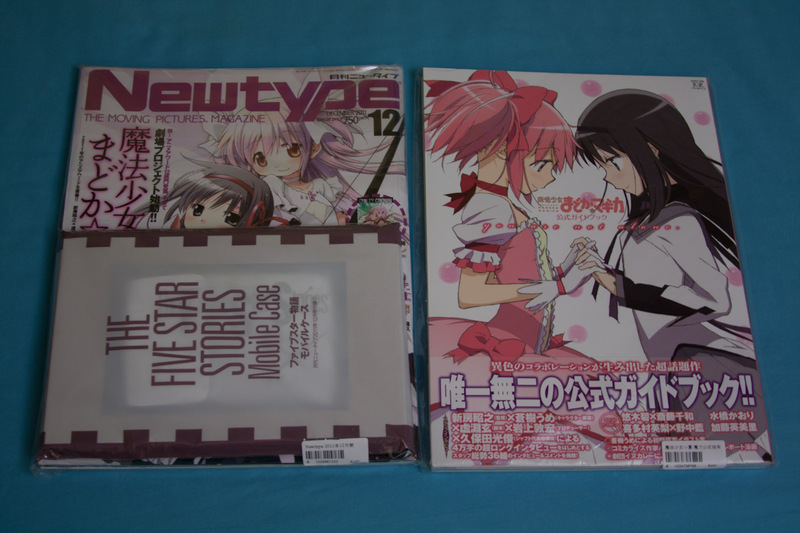 This entry was posted in order and tagged bk1, madoka, Newtype December 2011, Official Guide Book, order, package, Puella Magi Madoka Magica, yesasia, you are not alone. Bookmark the permalink.